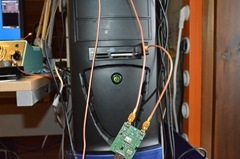 Home » Posts tagged "HF converter"
At Hamradio in Friedrichshafen I picked up a DxPatrol HF converter for the Funcube Dongle ( Supplier WiMo, designer: http://www.ct1ffu.com/site/ ). 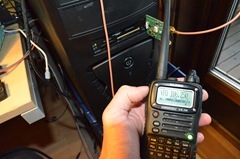 I was eager to test it on HF CW reception. 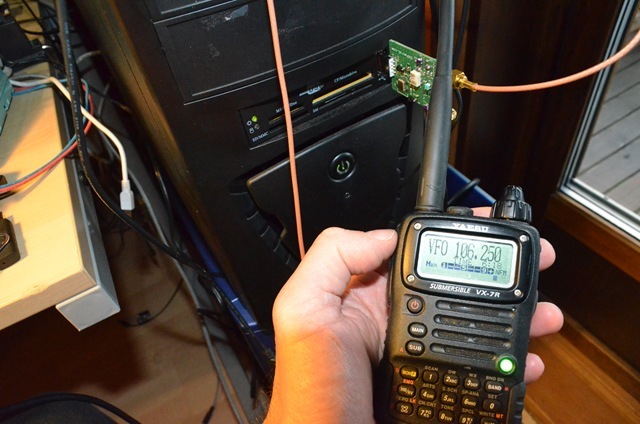 To check the coarse frequency and operation of the local oscillator I used my Yaesu VX7R for detecting the signal from the board. (The DxPatrol HF converter can be given a voltage feed via the SMA from the Funcube Dongle, if you turn it on from your Funcube. 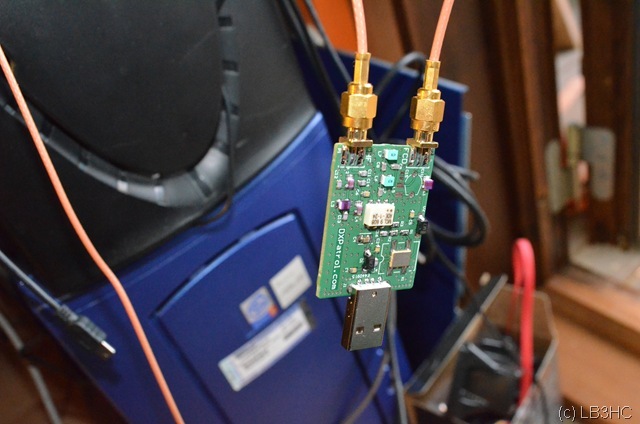 Alternatively, you can feed it with power via the USB connector – only 5V and GND is connected internally of course. I wanted to check that the converter was operating by listening to the local osc with my VX7R). 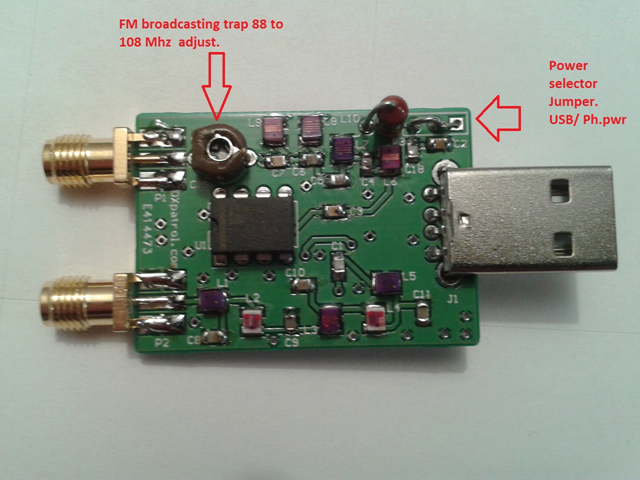 I was a bit surprised over the test result when listening to CW signals on HF. All the signals on the bands sounded like russian stations from the old days derifting all over the place. The local oscillator of the DxPatrol I purchased is unstable. It drifts so much that it can clearly be heard on CW. The designers of the DxPatrol unit told me to keep the unit free from wind when I asked about a possible design or osc issue via mail hehe 🙂 . 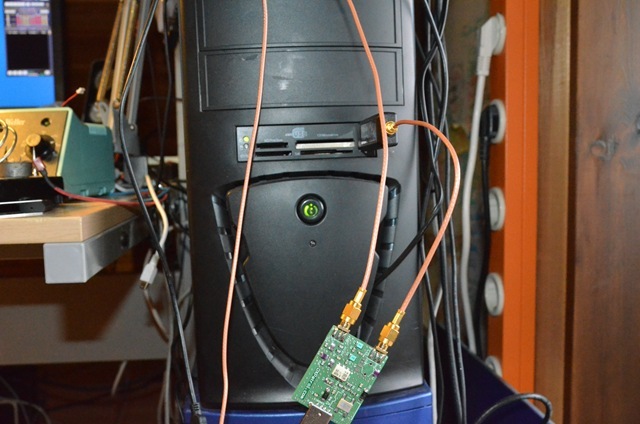 I think a “slight mod” may be necessary … I have SI570 and a buffer in my mind….